Over the past couple months, I have been participating as a mentor in the Autodesk University Speaker Readiness Program. I am mentoring 4 speakers (two industry talk sessions, co-presenters); one group from France/Netherlands and another group from Rockville, Maryland, USA). Looking forward to seeing great things from my mentees at AU2018!! Regarding my class development, I completed my PowerPoint and Class Handouts earlier this week. My plan over the next month is to focus on the "live" demonstration aspects of my presentations. Both of my AU2018 presentations are in the class format "Instructional Demo" so there will be a portion of live (and pre-recorded segment) demonstrations during each class. I feel this class format is very beneficial to the audience to not only keep them engaged during the presentation but to also provide a technical display of the components and entities being discussed during each presentation. Hopefully I can get all demonstration content completed within the 60 minute class time allotment, that is my goal for this year's presentations as I ran short of time last year at AU2017. 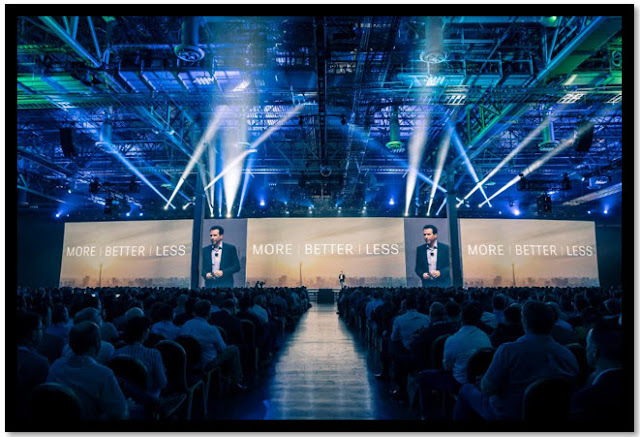 Autodesk University 2018 is fast approaching.... See you all there and once again, an early thank you to all those that have chosen my classes as part of their AU schedule!!! See you all in Las Vegas in November!!! !